In Uganda alone, over 8.4 million people lack access to safe water–that is equivalent to the entire population of New York City. SIPS would like to change that. Justine’s story, and countless others, inspired the creation of SIPS with one mission in mind: to deliver a clean, sustainable sip that promotes access to potable water for communities in Uganda. That is why with every purchase, you are helping drill a well for a village in need. 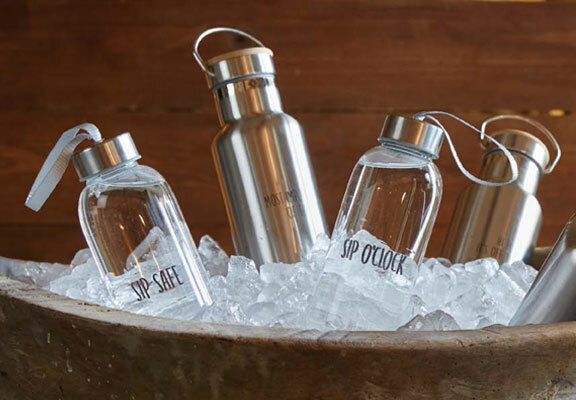 SIPs products reflect their attitude towards water– simple yet essential. Their passion for design is combined with their mission in Uganda, customers can celebrate a small victory in every sip. Whether enjoying the company of friends and family or shaking off the morning’s slumber, they are helping change the world for real people. SIPs believe that should feel pretty darn good. So here’s to making every sip a memorable one. Cheers!